NEWLY BUILT! Designed by famed architect Robert Rudeen. The Immaculate Boutique 19 Unit Palace at Washington Square Stunning 3-bedroom, 2-bathroom condominium in the heart of San Francisco's famed North Beach. This luxurious condominium comes with all Thermador appliances, heated flooring in all bathrooms, heated toilet with bidet in Master, 9-foot ceilings, and a 531 square foot private patio. A RARE feature which allows you to have an indoor, outdoor living space, giving you the opportunity to enjoy the best of both worlds in the comfort of your own home. 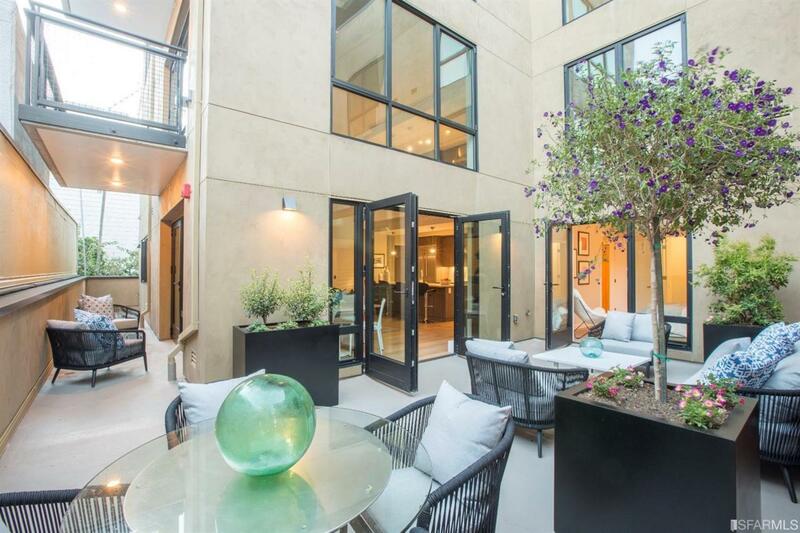 This Newly constructed building has all the luxury amenities one could desire including a state of the art workout gym and an oversized shared resident rooftop deck with 2 stainless steal gas grills, 3 Fire Pits and ample outdoor seating. Listing provided courtesy of Guadalupe Schmitt of Casa Blanca Real Estate.